Looking for an outrageous accessory for the Holidays? 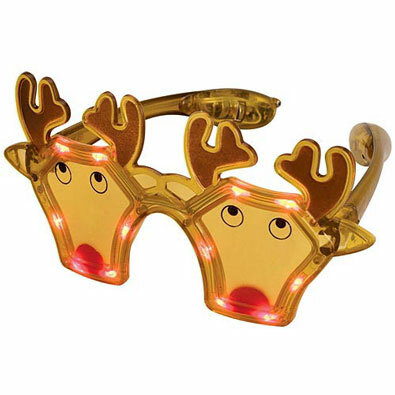 Stand out with our flashing LED glasses in three cool shapes. Three flashing light modes: steady, alternate flashing, constant flashing. Button batteries included.